Toltec means “artist” – artist of word, music, form and color, and most of all, Life. 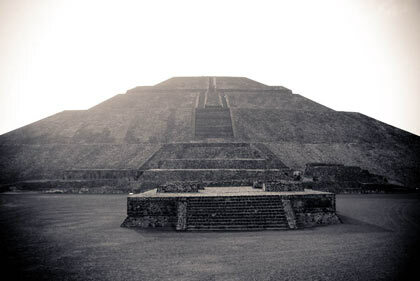 Today, Toltec masters still move among us, teaching mastery of awareness, transformation, and intent. Teachings about sacred areas in and around Teo have never been forgotten, but passed along from generation to generation in the oral tradition. These teachings have been supplemented by many generations of continued study and practice at Teo and other sacred sites. Much of what you read here has been given to us by don Miguel Ruiz and his family.